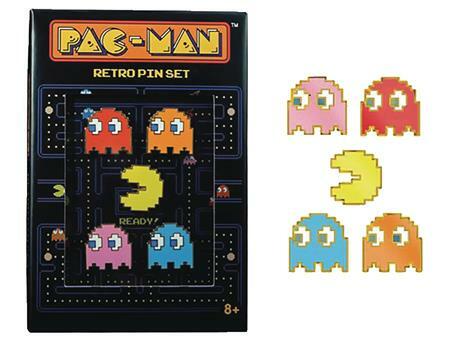 Go back to the 4-bit video game era with this FigPIN set based on Namco's beloved Pac-Man! These retro-styled pins of Pac-Man, Inky, Blinky, Pinky, and Clyde look like they escaped from the arcade cabient. Each FiGPiN can stand up with the signature FiGPiN rubber backer stand and comes displayed in front of a collectible backer card inside the ultra-collectible FiGPiN clear protector case.